sanpei's blog: [DMM Eikaiwa] How long does teacher teach English? 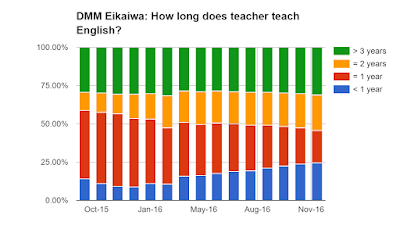 [DMM Eikaiwa] How long does teacher teach English? 1. 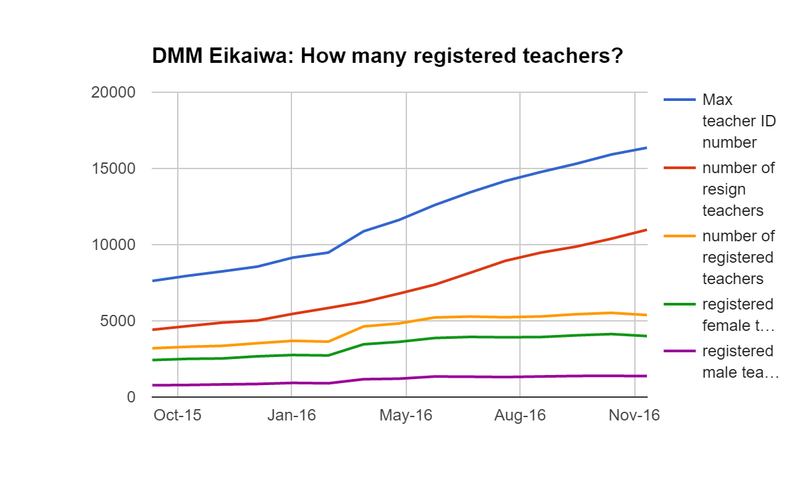 How many registered teachers in DMM Eikaiwa? Currently Max teacher ID is 16360(as is Dec/2016). 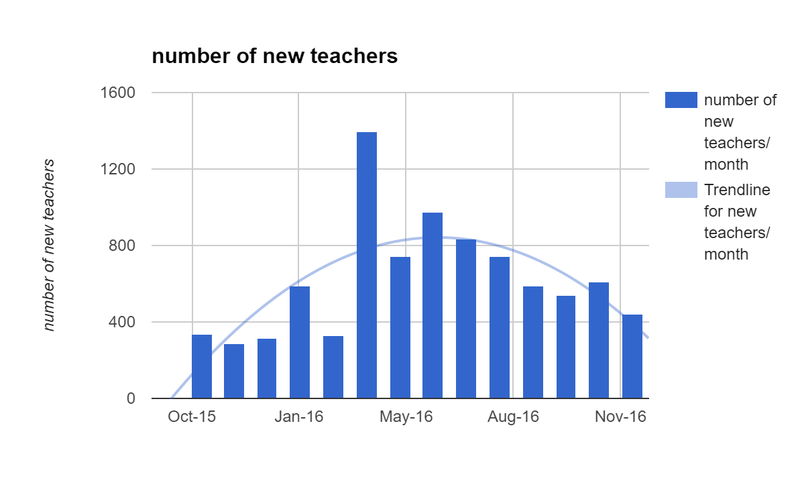 But registered teacher is only 5383(orange line). This number is stable around 5000 from April/2016. 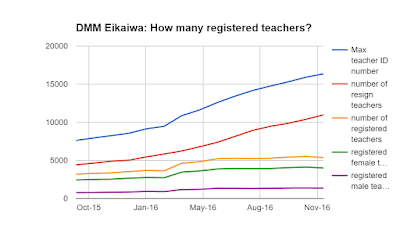 DMM Eikaiwa tried to hire new teacher(so increase max ID number), but many teacher resigned. 2. 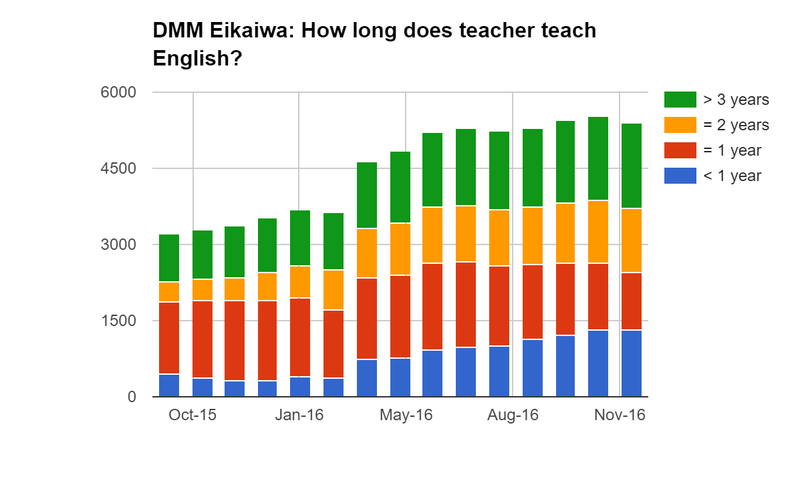 How long does teacher teach English? 1 year(RED bar) is decreasing. Some teacher is step up to 2 years(Orange bar). But < 1 year(Blue bar)is not shift to 1 year(maybe resign before 1 year). So 1 year is decreasing, I think. 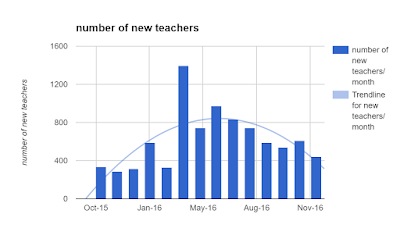 And if this trend(resign level high) continues, teacher skill level may be down because less than one year teacher will be increased.